January 24, 2019 IADAC's first event of 2019 will be hosted by North Bay Auto Auction. A no-cost luncheon seminar will take place directly after the auction. New laws will be reviewed along with suggestions for a more profitable 2019. All dealers are welcome. This event is sponsored by Vitu Light, endorsed by IADAC for electronic titling. Find out more by clicking HERE. February 28, 2019 Manheim Central California will host an IADAC seminar right after the regular sale. Many California dealers have been plagued by law suits and we'll explain why these occur and what you should do if you receive a demand letter or law suit. IADAC associate member attorneys are listed on the Vendor Directory HERE. We'll also discuss tips, tricks and and problems you may have with the new Temp Tag/Virtual Report of Sale program. All dealers welcome. Contact Larry@iadac.org with any questions. March 15, 2019 Autonation Auto Auction in Gardena will host an IADAC seminar right after the regular sale on Friday, March 15, 2019. Questions about the new Temp Tag bill will be answered by Tom Plunkett with Vitu. Then, a presentation to help dealers understand what they should do if they receive a demand letter or law suit. IADAC does not provide legal advice but we do collect data from claims against other dealers and share that information with you. Attorney Mohsen Parsa will provide commentary. You must know how to act in every situation. Sandwiches will be provided for attendees. All dealers are welcome. Contact Larry@iadac.org for more information. 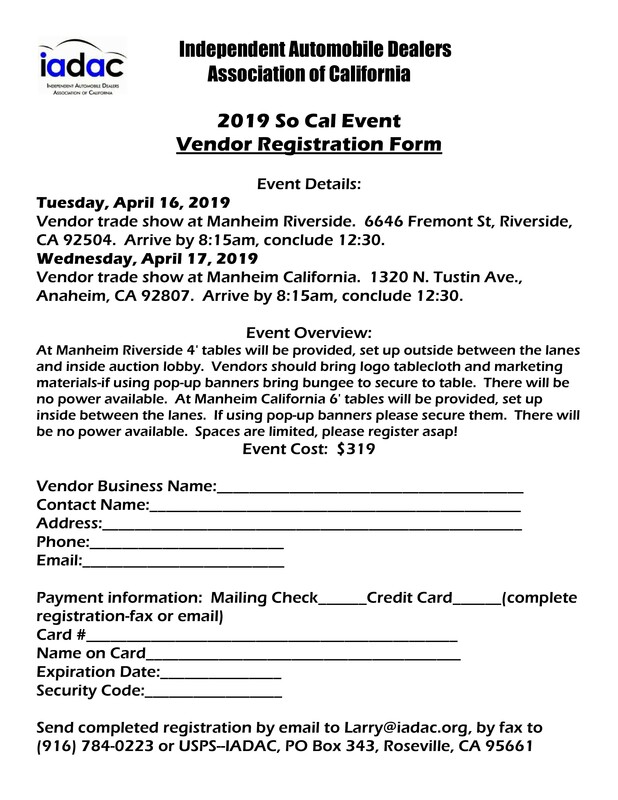 April 16, 17, 2019 IADAC's annual So Cal Vendor Trade show will be hosted by Manheim Riverside and Manheim California. Interested vendors may download the registration form by using the link below. Spots are limited so sign up early. Are you signed up to receive our free newsletter? If not, you can do so by clicking HERE. 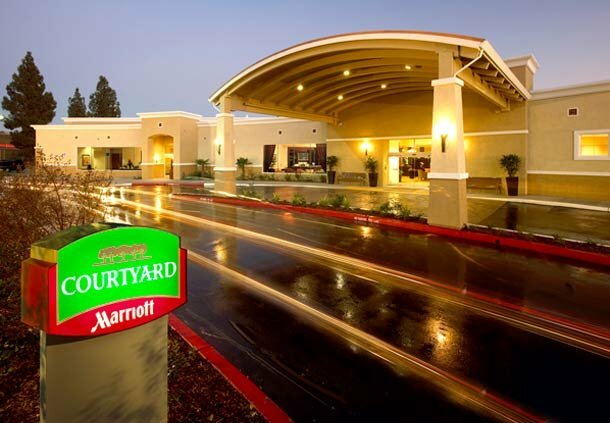 October 7, 8, 9, 2019 IADAC's Annual Convention will be in Sacramento at the Courtyard Marriott Cal Expo. The single day convention on Monday October 7 will feature numerous quality presentations and a vendor expo, followed on Tuesday and Wednesday with vendor trade shows at Adesa Golden Gate and Manheim San Francisco Bay. Registration forms will be available soon and announcement will be made via our e-newsletter. Not signed up? Click HERE to receive our free industry newsletter.